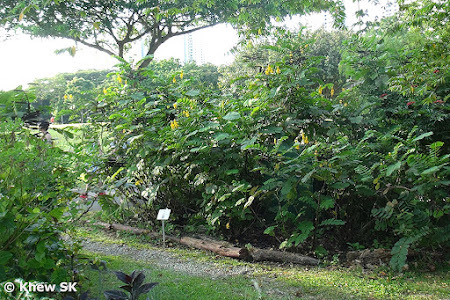 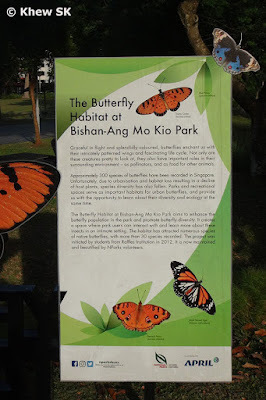 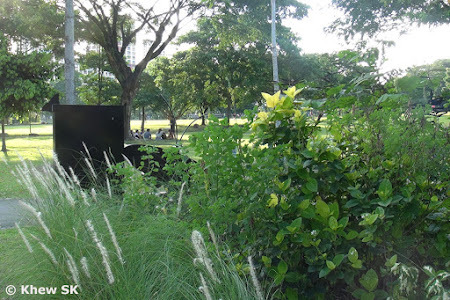 I recall that, some time back in 2012, I was approached by two very enthusiastic and intelligent boys from Raffles Institution, asking for help to set up a butterfly habitat at the Bishan-Ang Mo Kio Park. 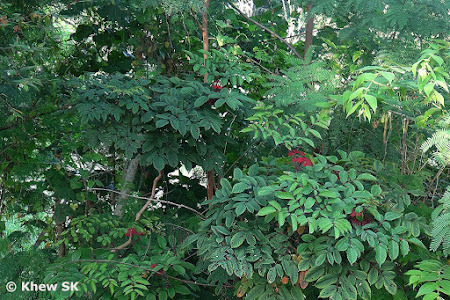 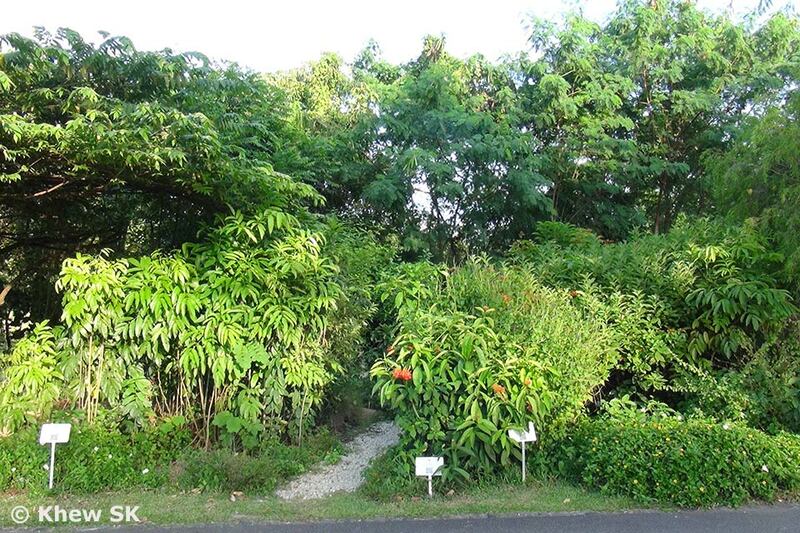 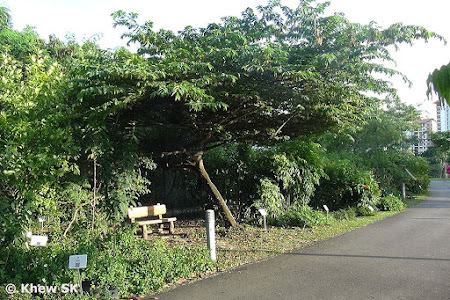 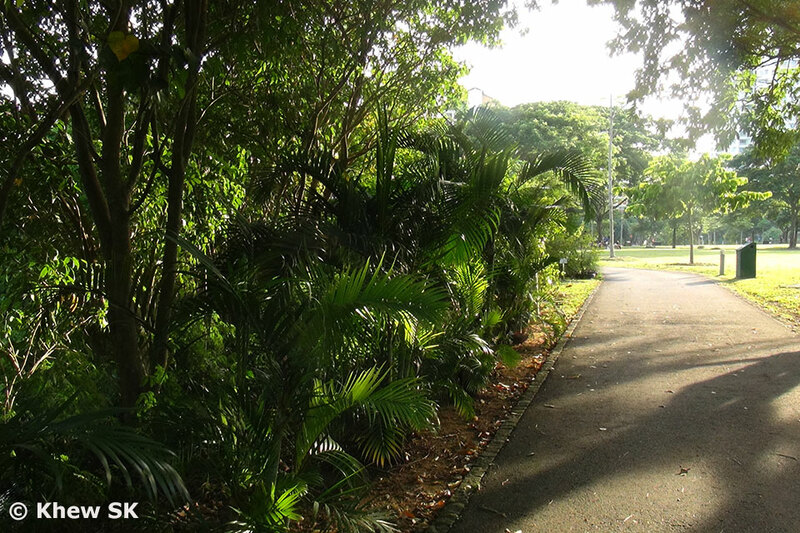 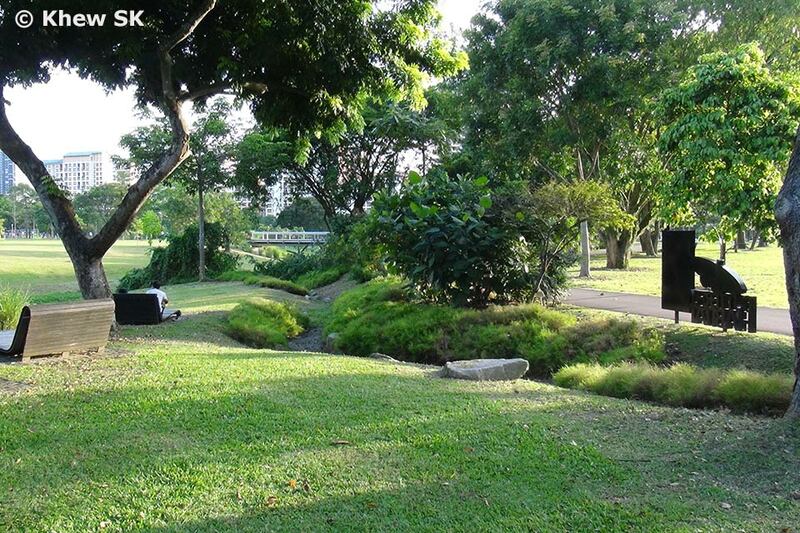 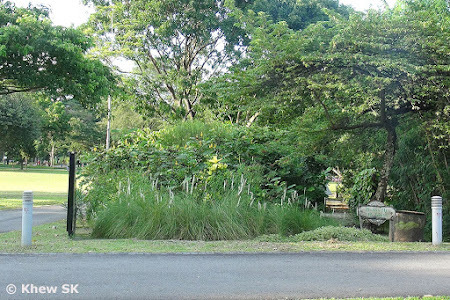 At that time, the park was just newly upgraded under the Public Utilities Board's ABC programme to feature a natural stream running through the 62-Hectare park. 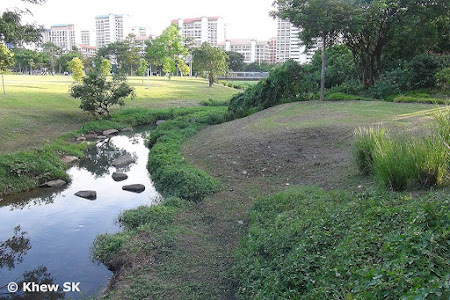 A concrete canal was demolished and a naturalised meandering stream with lush banks of wildflowers and other water plants took its place. Today, the park is popular with the local residents in the vicinity, and is well-utilised as an outdoor exercise amenity - complete with a dog run, cycling and jogging trails, water features, event lawns, water sensitive urban design features like bioswales and cleansing biotopes. 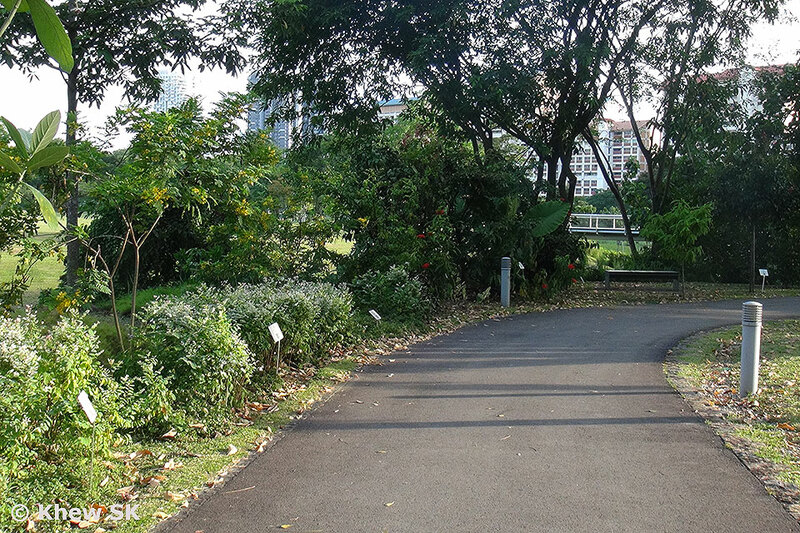 Commercial activities like a spa and F&B outlets complete the public-friendly amenities that can be found at this park, making a weekend outing convenient and enjoyable. Back to the two boys from RI - Zeng Tianchen and Ernest Aw, and their plans to set up a butterfly garden at Bishan-AMK Park. I was impressed by their systematic and organised plans to persuade the authorities to set aside a small plot of land in the sprawling park for a small butterfly garden. 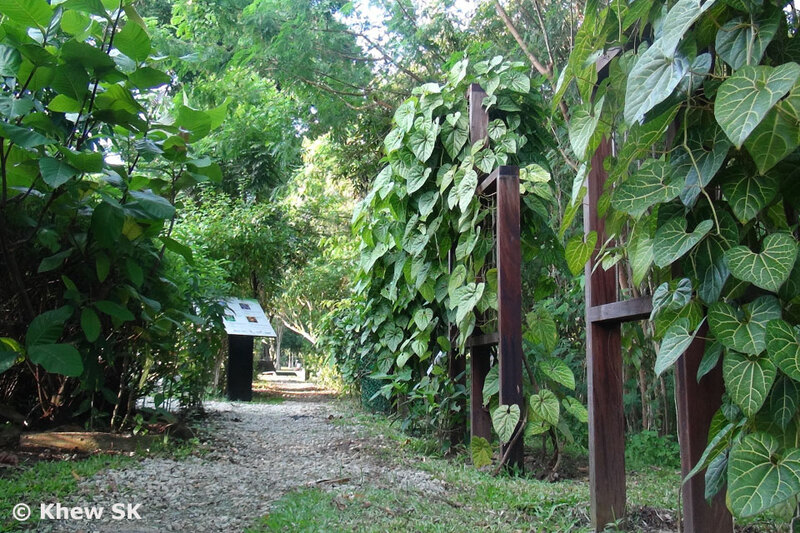 They crafted an entire business plan on how they envisioned the butterfly garden could work, and even scouted out for alternative sites to propose to NParks. 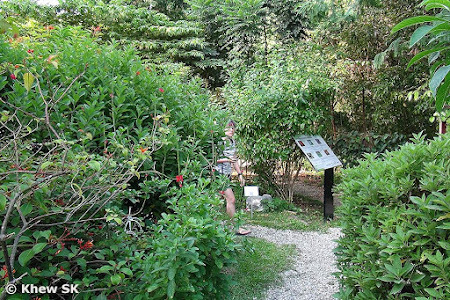 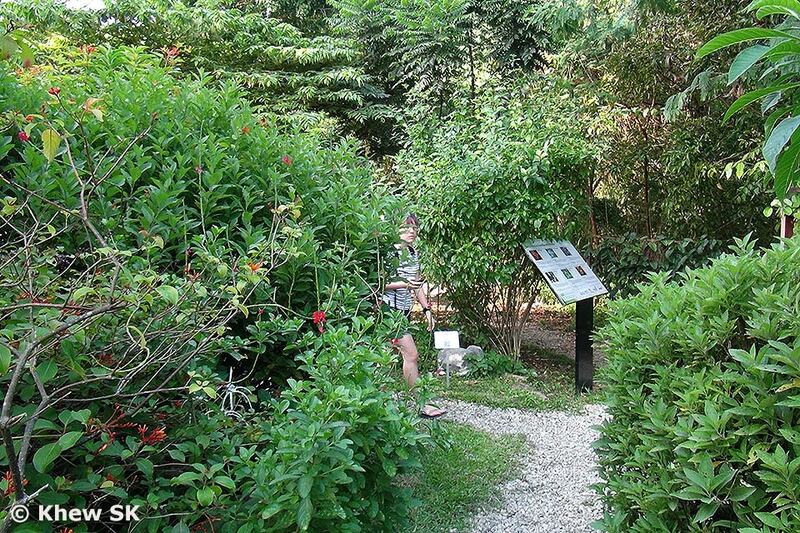 Ample interpretative signs help to educate interested visitors to the plants and butterflies of the Butterfly Habitat. 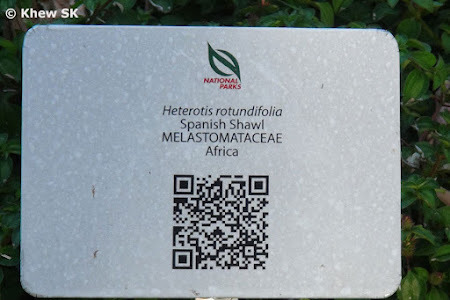 Signs also carry QR codes where visitors can scan and be brought to even more information on the internet. 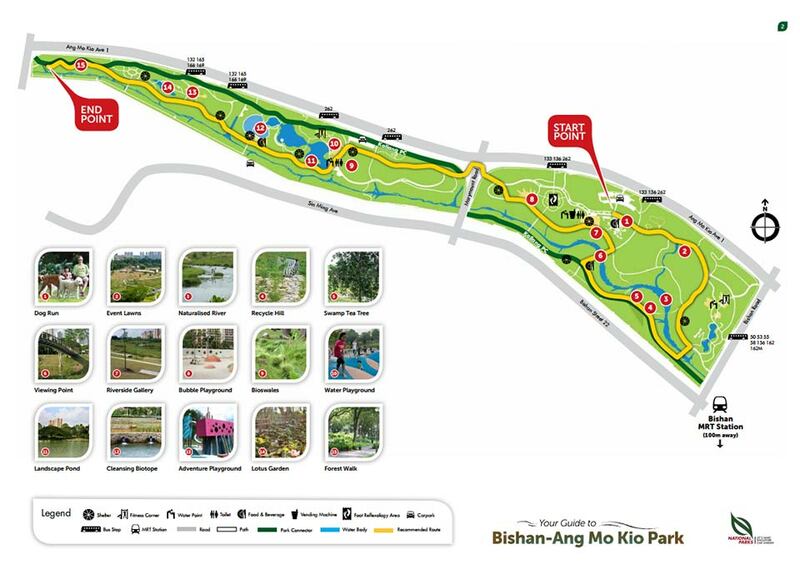 Given my busy travelling schedule then, I was only able to spare a couple of weekends to give some advice and link them up with the parks manager of Bishan-AMK Park to get approval for the site to create the butterfly garden. They also organised a talk for the community to encourage the residents to volunteer to maintain the butterfly garden. Their enthusiasm gained momentum, and with the support of their teachers in RI and the community, the Butterfly Habitat @ Bishan-AMK Park was born. 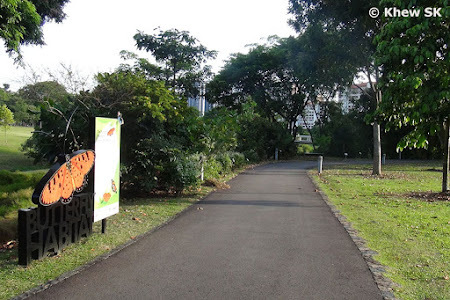 NParks even organised an event and got the reputable producer of pulp and paper, April Group to sponsor an event and a series of interpretative signages at the Butterfly Habitat. 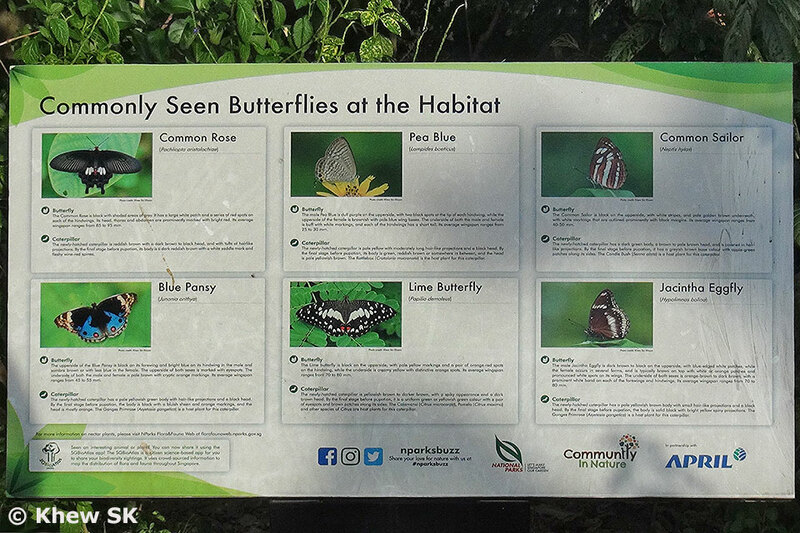 Today, these signages help visitors and enthusiasts to the Butterfly Habitat to understand the plants and related butterfly species that they can find at the site. NParks also added useful educational signages to share more information about the plants that are cultivated at the Butterfly Habitat. 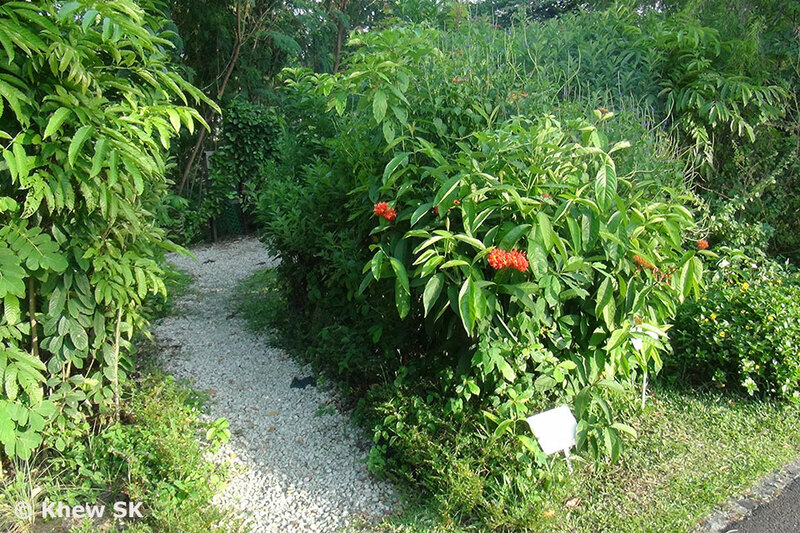 The Butterfly Habitat is a short linear butterfly-friendly garden, featuring many host and nectaring plants for butterflies. 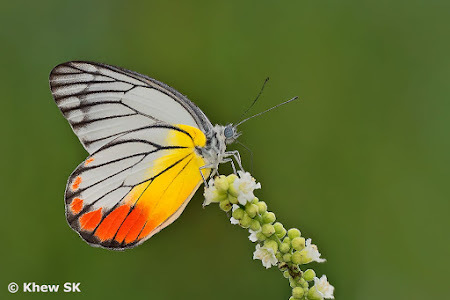 On a good day, one can find at least 10 species of butterflies fluttering amongst the flowers and shrubbery. 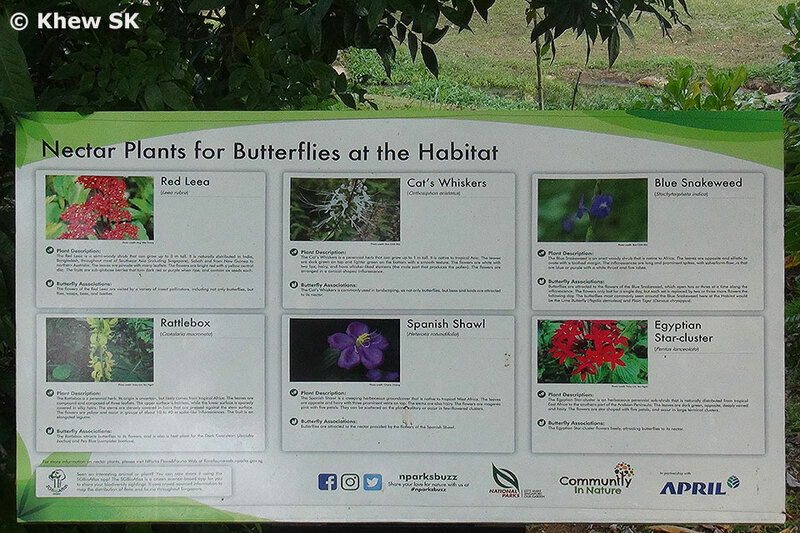 A community-based team maintains the Butterfly Habitat with volunteers helping to keep the plants in healthy condition. Some of the volunteers also help to breed caterpillars and then release the adult butterflies at the Habitat. The two talented RI boys went on to pursue their tertiary education, and the maintenance and upkeep of the Butterfly Habitat fell on the shoulders of NParks and a community of volunteers under the capable chairmanship of Tian HM, who is from the landscaping industry. 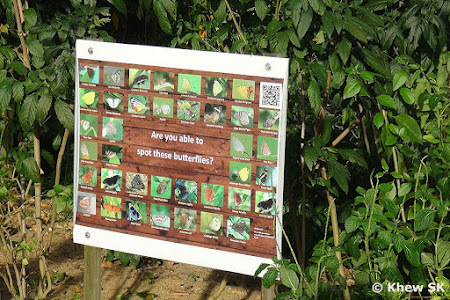 Typically, the more common urban species can be found at the Butterfly Habitat. Amongst the Papilionidae, one can regularly spot the Lime Butterfly and Common Mormon. Occasionally, the fast-flying Common Bluebottle and Tailed Jay can be observed zipping by to check out the nectaring plants. 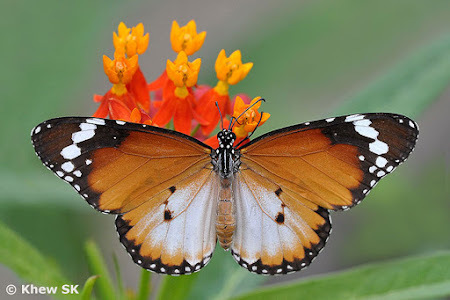 The Plain Tiger is almost a daily feature at the Butterfly Habitat. 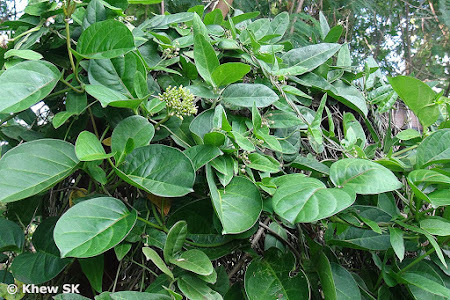 Its caterpillar host plants the Crown Flower and Blood Flower can be found at the site, and if you look hard enough, you should be able to see some caterpillars chewing on the leaves of their host plants. Other Danainae caterpillar host plants can also be found here, and the occasional Tiger or Crow can be spotted at the Butterfly Habitat. 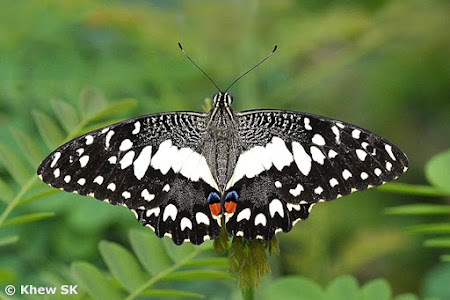 The Painted Jezebels visit the nectar-rich flowers at the Butterfly Habitat, and the availability of the caterpillar host plants of the Emigrant species - primarily Lemon and Mottled, ensures that these butterflies are regularly around at the Butterfly Habitat. 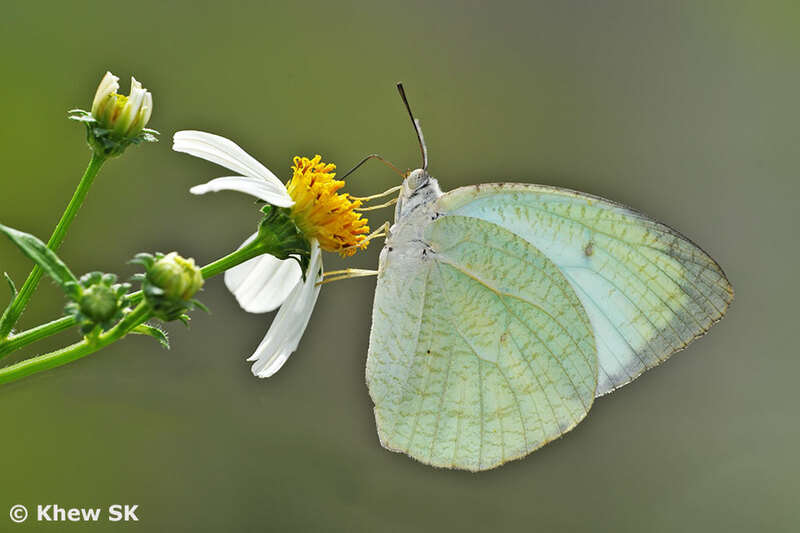 The Common Grass Yellow makes its appearance at the Butterfly Habitat once in a while, fluttering restlessly amongst the plants, stopping to feed and then goes on its way elsewhere. On hot sunny days, look for the Blue and Peacock Pansy butterflies. 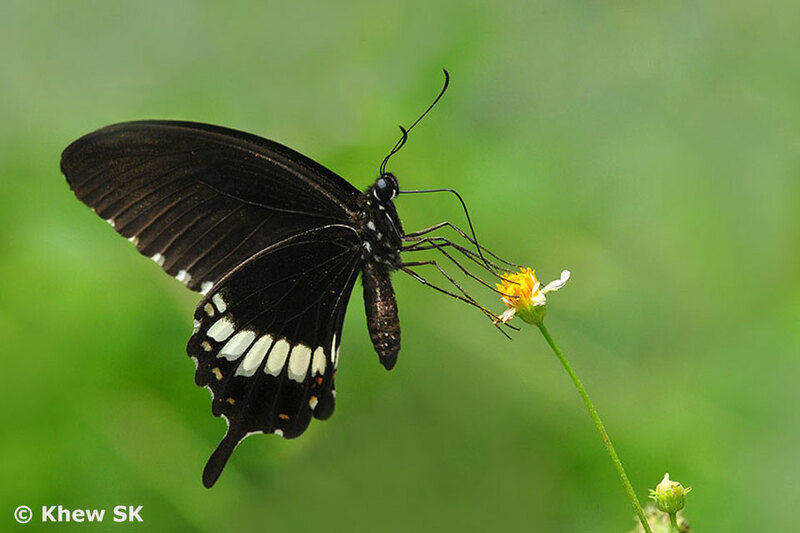 Whilst skittish, they may be approached more easily when feeding on flowers. 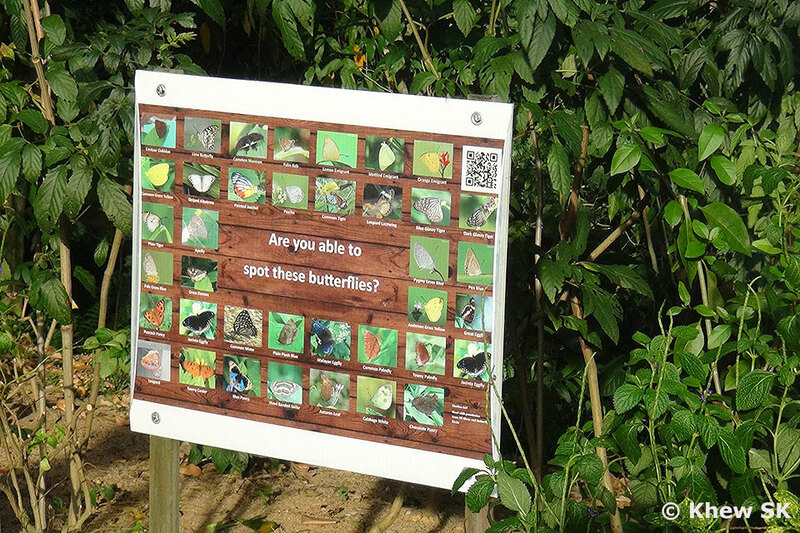 The Tawny Coster, featured prominently on the main signage of the Butterfly Habitat, makes a seasonal appearance at the site, depending on the availability of its caterpillar host plants nearby. 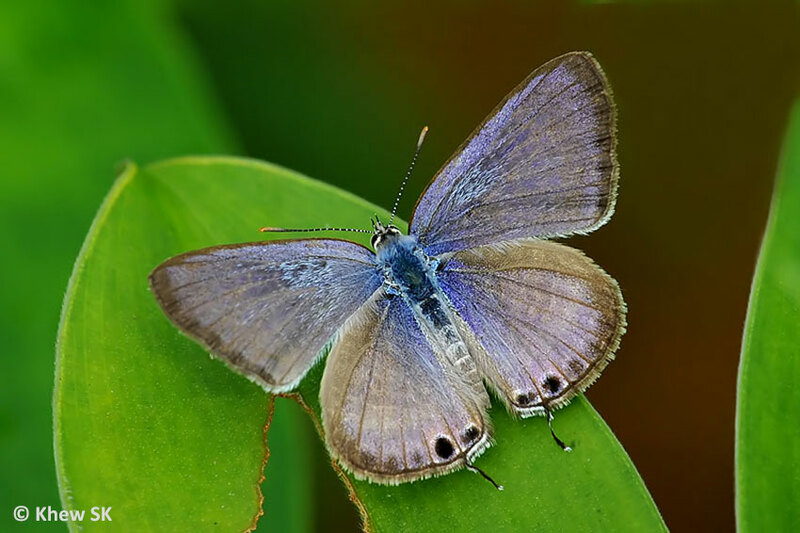 Amongst the smaller Lycaenidae, keep a sharp look out for the Pea Blue, Grass Blues, Peacock Royal and other tailed beauties. 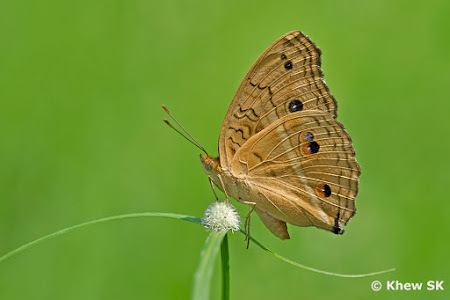 The Skippers also visit the flowers and are usually more active in the early morning hours of the day. 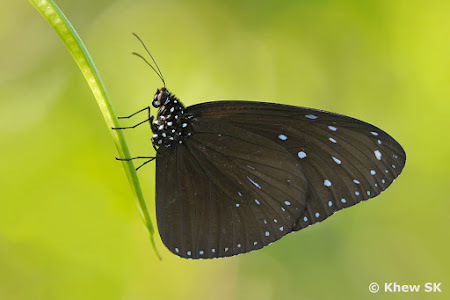 All in all, about 30-40 species of butterflies have been spotted at the Butterfly Habitat @ Bishan-AMK Park. 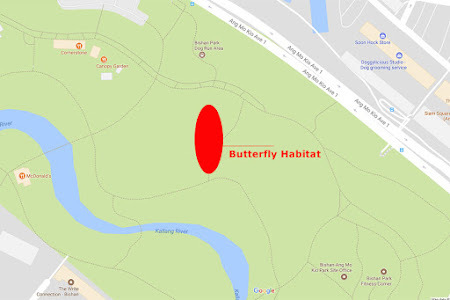 The very busy park with many visitors moving around near the Butterfly Habitat does affect the butterfly activity at the site. 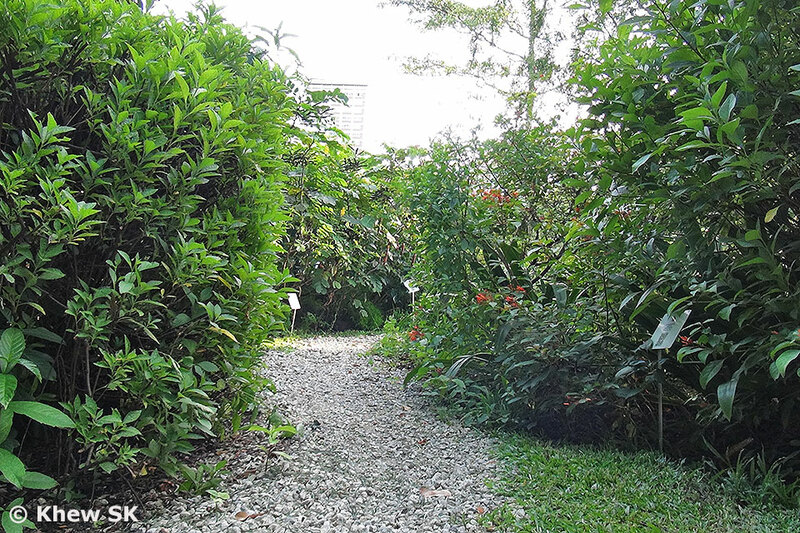 The linear design that places the plants too close to the main footpaths tend to scare off the more skittish species as people walk or jog past. 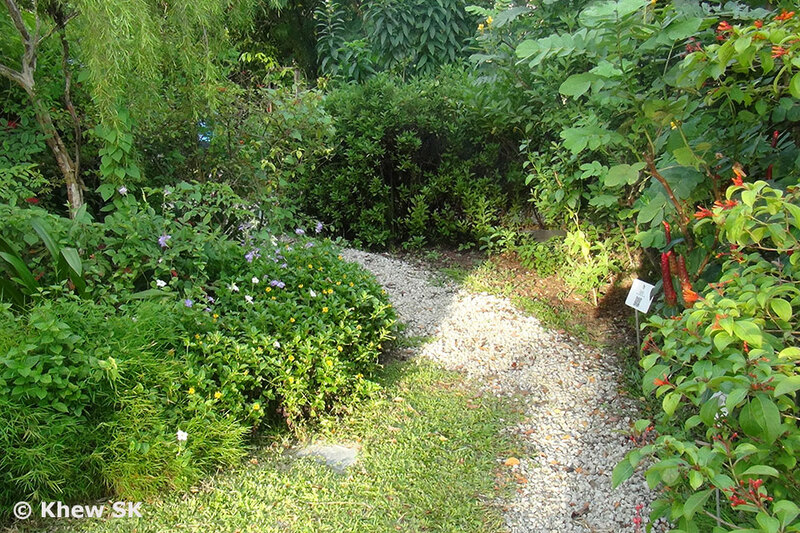 Within the Butterfly Habitat itself, the very compact placement of plants and the narrow trails amongst the plants also reduce the opportunities for butterflies to stop and feed without being alarmed by visitors walking nearby. As the design brings human movement much too close to the plants and flowers, butterflies tend to look for "safer" areas to feed without fear of encounters with predators. 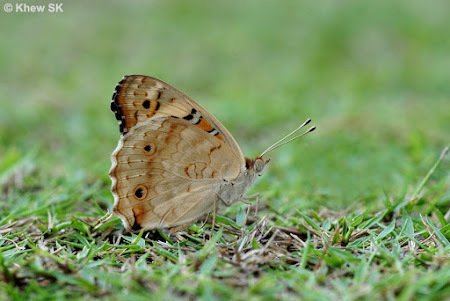 Human movements are also interpreted as predatory behaviour which scares off the butterflies. 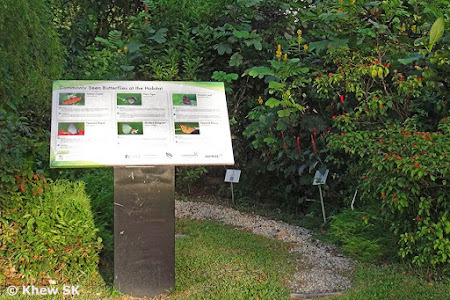 Amongst the more successful butterfly gardens, there are always open areas around the planters where the butterflies can beat a hasty retreat if any predatory movements are spotted. 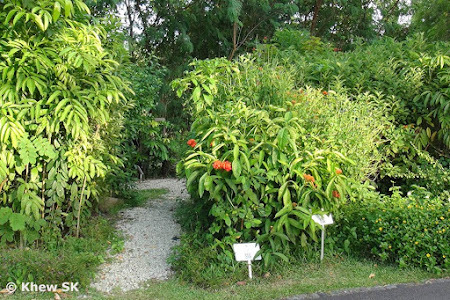 The design should also allow for some stand-off distance between the plants and footpaths so that the proximity of observers is outside the 'circle of fear' of many butterfly species. Otherwise the butterflies will be alarmed and fly off. 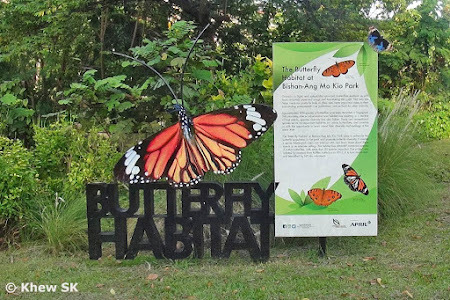 The area near the stream adjacent to the Butterfly Habitat should also be made use of, to create quieter sanctuaries where butterflies can feed without any disturbance from human interactions. 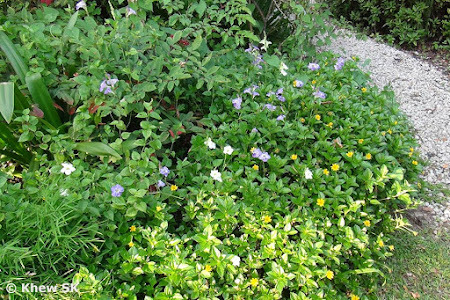 The arrangement of butterfly-attracting host and nectaring plants should also be spread further apart and allow wider spaces in between them. The Butterfly Habitat is not too far from the nature reserves at Lower Peirce Reservoir Park and the Central Catchment Reserves. The proximity to these nature areas should be an advantage over the more urban butterfly gardens. Hopefully, with some re-design of the planting clusters and a wider choice of plants, the Butterfly Habitat can see a greater diversity of butterfly species in future.